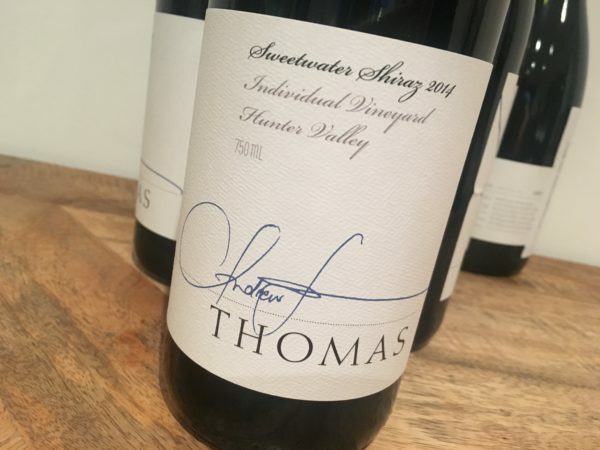 Sweetwater is often the quiet achiever of the Thomas Wines range, with a style that is typically more aromatic and less dense than the other single vineyard Shiraz (like Kiss). Again this is a plump and juicy wine – as Sweetwater often is. There is still the red earth of the Hunter, but this is flush with fruit – and even quite pretty. Compared to the brawn of Kiss, for example, this seems gentle and almost Pinot-esque. After a day open, however, it gets deeper, more tannic and more serious. Clever.My only criticism is that this is slightly over-polished – it’s just so sleek and elegant, when a little bit more thump would help. Best drinking: 2019-2030+. 17.7/20, 92/100. 14%, $35. Would I buy it? I’d quite like a bottle to see how it develops, and 2 glasses or so now.